In the past, orthodontic treatment could only be performed at a young age, but today there are options available for adults and children alike. Advances in orthodontic technology and materials have also made procedures such as teeth straightening and bite correction more affordable and effective. With the huge variety of dental braces available these days, though, it can be a challenge to decide which ones will work best for your needs. To help you make the right decision, we’ve put together this list of different types of braces, as well as the pros and cons of each option. What Are the Common Types of Braces? 1. 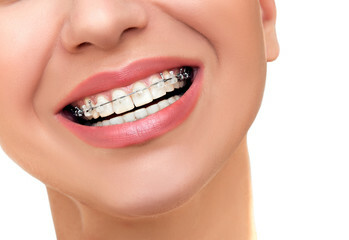 Metal Braces – Also known as traditional braces, these have evolved tremendously over the years, and are now much smaller and more comfortable than they used to be. They have high-grade stainless steel wires and brackets with rubber bands and are attached to the surface of teeth. Traditional braces are durable and cost-effective, making them the most common option for orthodontic treatment. The rubber bands are available in various attractive colours, which also makes them the perfect braces for kids. 2. Ceramic Braces – Ceramic braces work the same way as metal ones, but are far less noticeable, which makes them ideal braces for adults. They are made with either translucent or tooth-coloured dental ceramic materials, and wires can also be coloured to match the natural colour of your teeth. These braces are much more expensive than most traditional braces and require a lot of care and maintenance to keep the materials from getting stained. However, they provide faster results than clear aligners or invisible braces. 3. Lingual Braces – These braces are ideal for working professionals in careers where physical appearance is very important, such as newscasters and MCs. They are placed on the back or inside of your teeth (near the tongue) instead of the front, which makes them practically invisible. While working the same way as metal and ceramic braces, lingual braces can only be used in specific cases of orthodontic treatment. Also, their position can cause tongue irritation, higher initial discomfort and speech problems. 4. 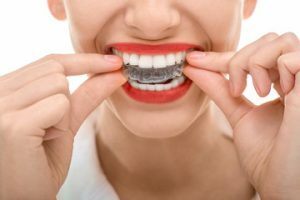 Invisible Braces – Popularly known as Invisalign braces because of the brand name, these are some of the newest orthodontic products to enter the market. They are customized according to the shape of your teeth and will need to be replaced every two weeks as your teeth shift position. Invisible braces are also called removable braces or clear aligners since you can remove them at night or while eating. They can only be used for minor orthodontic corrections and are only available for adults and teens. 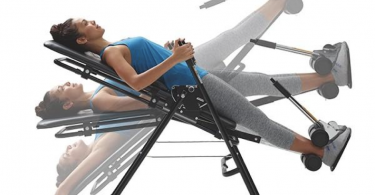 • Routine adjustments are difficult and take more time. • Very costly to replace. Other than comparing the cost of braces and how visible they are, you should always consult your orthodontist about which ones to get. After all, they have years of specialized training and experience to understand which braces will work most effectively in your case and can help you choose the best fit. Remember, certain types of braces, such as lingual and invisible braces, are not suitable for everyone. Choosing the wrong type could mean your time and money going down the drain! Sharon William’s day job is to handle digital marketing for Koch Orthodontics in Loganville, GA. With a flair for creating compelling content that clears the clutter and connects with the audience in an instant, she writes about dental topics to educate and help her readers. She truly believes that a genuine smile can win a million hearts and talks to her readers about improving their smiles and overall dental health, as well as enhancing their overall lifestyle. In her free time, she likes to organize small meets in her neighbourhood where she brings people together to discuss various topics that she writes about.